JW Marriott Marquis Hotel Dubai, Dubai, United Arab Emirates - Lowest Rate Guaranteed! 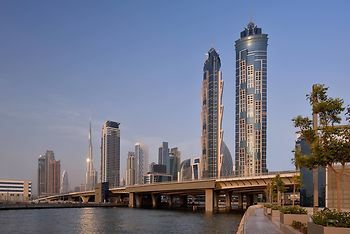 Located in Dubai (Downtown Dubai), JW Marriott Marquis Hotel Dubai is within a 10-minute drive of Dubai Mall and Dubai Opera. This 5-star hotel is 2.2 mi (3.6 km) from Dubai Fountain and 2.2 mi (3.6 km) from Burj Khalifa.